Incident investigation is a vital process for understanding and preventing incidents, both large and small, which can cause untold and often irrecoverable damage to individual lives, equipment, organisational safety culture, company reputation and profit. 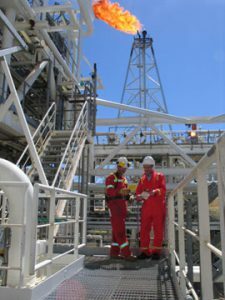 Incident investigation is carried out by global companies to ensure that all levels of incidents, from slips trips and falls to major incidents, are investigated in a structured and standardised way in order to establish the causes of incidents, and to take the necessary preventative steps to stop the same or similar incidents from recurring. By using a proven, robust and structured investigation system such as the Kelvin TOP-SET process, investigations are not only planned, managed and completed in a timely fashion, but produce recommendations and reports that are consistent and of a high quality. This is essential for the sustained improvement of corporate memory and of internal working practices. Effective incident investigation helps all levels of employees to improve their own and their company's safety awareness, understanding of safety, and safety performance. Leading companies are now using the Kelvin TOP-SET process as part of their quality and assurance programmes in order to develop an understanding of how to better their company's overall business performance. Incidents such as management error or operational failure hold valuable information that TOP-SET can unlock. This information can be used to improve future planning and working practices. Learning from the past helps businesses to evolve and to progress. Kelvin TOP-SET is a straightforward, user-friendly methodology that facilitates this, and helps companies to integrate all that can be learned from investigating incidents throughout an organisation.